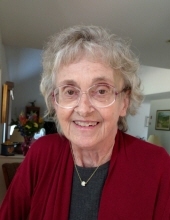 Shirley L. Hemming, 79, of Brookline, NH died on January 15, 2019 at Southern New Hampshire Medical Center, Nashua, NH after a brief illness. She was born in Watertown, NY on September 4, 1939, a daughter of Carl and Eleanor (Crossman) DeRocher and was raised and educated in Watertown. Shirley made her home in Brookline, NH for the past 20 years and formerly lived in Hollis, NH for 19 years. Shirley was a loving and devoted wife, mother and grandmother. Along with her husband, she lovingly raised their 3 children and proudly doted on her 6 grandchildren. Shirley enjoyed many summer days with her family at Sebago Lake and traveling internationally with her husband. She took delight in many adventures with her cherished companion Charlene. She had a great love of reading that extended into volunteering at her children’s schools and town libraries. She could often be found with a cup of tea in front of a crossword or jigsaw puzzle or cheering on her beloved Red Sox and ‘Big Papi’. In her later years, Shirley tackled many physical challenges with great strength, fortitude and grace. She will be fondly remembered for her gentle smile and kind, compassionate spirit. Family members include her husband of 57 years, Walter W. Hemming, Sr. of Brookline, NH; two daughters and sons-in-law, Cindy and Duane McDuffee of Stafford Springs, CT, and Cathy and Chris Nolen of Phoenixville, PA; a son, Walter W. Hemming, Jr. of Litchfield, NH; six grandchildren; a brother and sister-in-law, Ronald and Deborah DeRocher of TN; a sister, Michelle DeRocher of Winter Haven, FL; several nieces and her caregiver and friend Charlene Szarek. She was predeceased by a daughter-in-law, Renée R. Hemming. In lieu of flowers, please consider a donation to Habitat for Humanity at https://www.habitat.org/donate/. There are no calling hours. A Celebration of Life will be held in the Spring. "Email Address" would like to share the life celebration of Shirley L. Hemming. Click on the "link" to go to share a favorite memory or leave a condolence message for the family.